Scots get inked for the referendum Jump to media player Broadcaster Stuart Cosgrove asks what it means to be Scottish and visits a tattoo parlour in Hamilton to examine what role identity will play in the referendum. 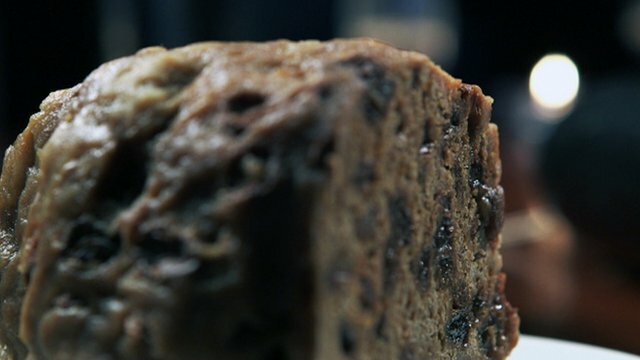 Clootie dumpling and the referendum Jump to media player Broadcaster and journalist Stuart Cosgrove looks at whether a resurgence in traditional Scottish food will influence the Scottish independence referendum. 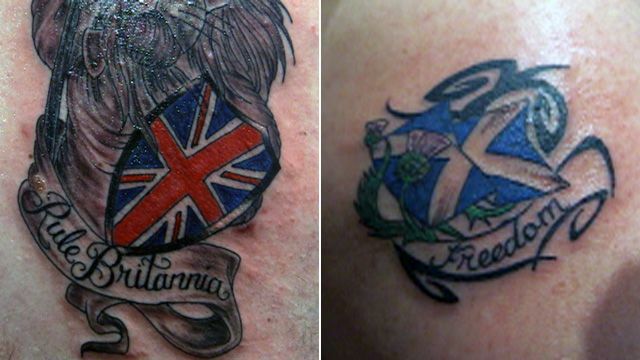 Scottish independence: Do tattoos help shape what we believe in? Voters in Scotland will decide on their country's future when they go to the polls in the referendum on Scottish independence. In the second of a series of documentaries ahead of the vote in September, broadcaster and journalist Stuart Cosgrove asks what it means to be Scottish. He visits a tattoo parlour in Hamilton to examine what role identity will play. The programme asks how identity, be it Scottish or British, will influence people's voting intentions. Newly tattooed Gary says: "I'm getting a tattoo just to symbolise my feeling on my Britishness." Meanwhile Toni, sporting her new Saltire tattoo, says: "I feel more Scottish now I've got the Scottish flag tattooed on my skin." Watch Five Million Ways To Be Scottish on BBC Two Scotland on Tuesday 4 February at 21:00.